Product Unavailable. 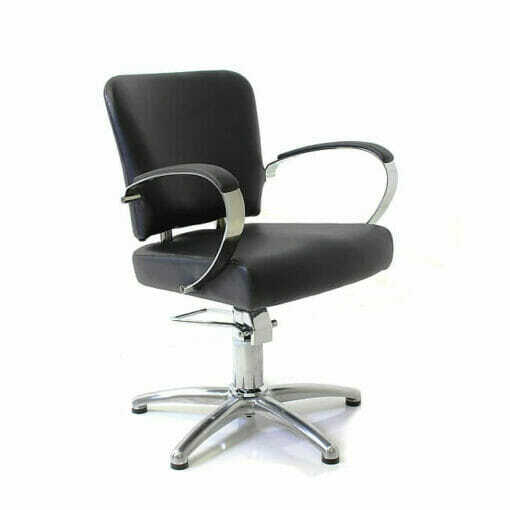 Comfortable salon chair with chrome arms and a comfortable two piece seat. 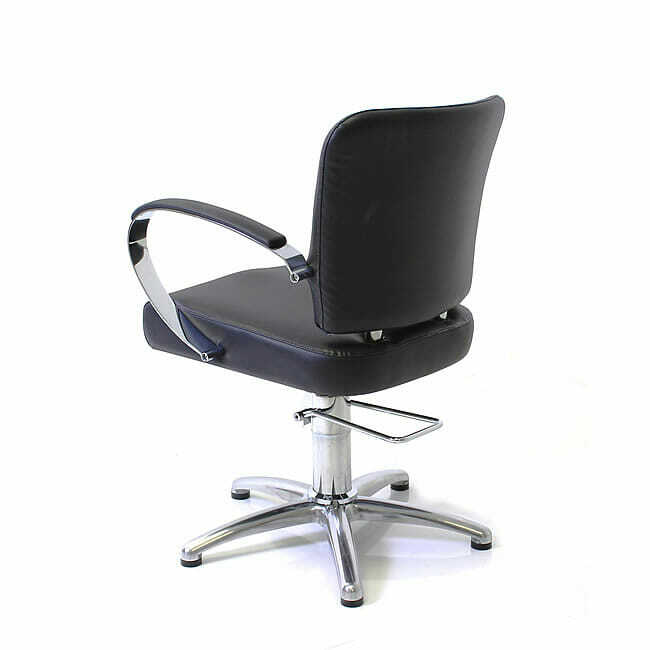 The REM Roma Hydraulic Styling Chair in black upholstery is a stylish and modern design salon chair. 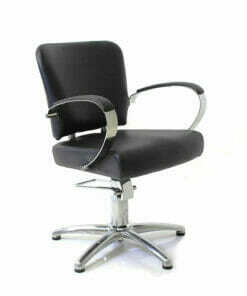 With chrome arms topped with black upc tops, comfortable two piece seat and backrest. The REM Roma Hydraulic Styling Chair is Upholstered in a hard wearing black fabric, giving this chair a great combination of style and durability. Please note these hydraulic bases are supplied with U-Shaped foot pedal. The Roma chair comes on a hydraulic pump with a 5 star base as standard. 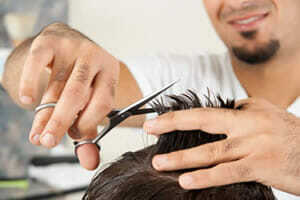 Round or Square shaped bases are also available as an optional extra. Please use the drop down box to choose your base type, and see below for larger images. Dimensions Width 61cm, Height 52-63cm, Depth 62cm. Unfortunately this product is now dicontinued.